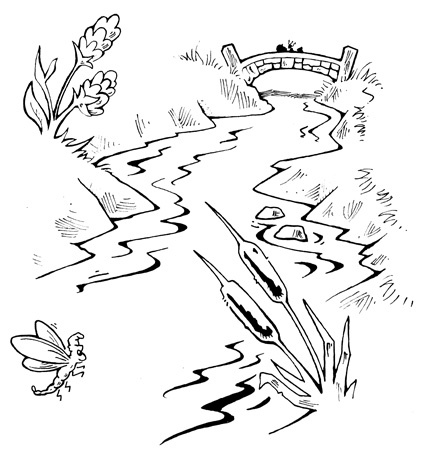 The central waterway in the Land of Een is the River Wink. Many an Een town rests on the borders of the river, including the largest Een town, Faun’s End. The River Wink winds its way across the land, and ends near the magic curtain, at the Wishing Falls. The river is wide and deep, so that it can only be crossed by bridge or ferry. Many plants and flowers flourish along the river in the spring and summer, while in the winter it is known to at least partially freeze over, allowing delighted Eenlings to skate across it.